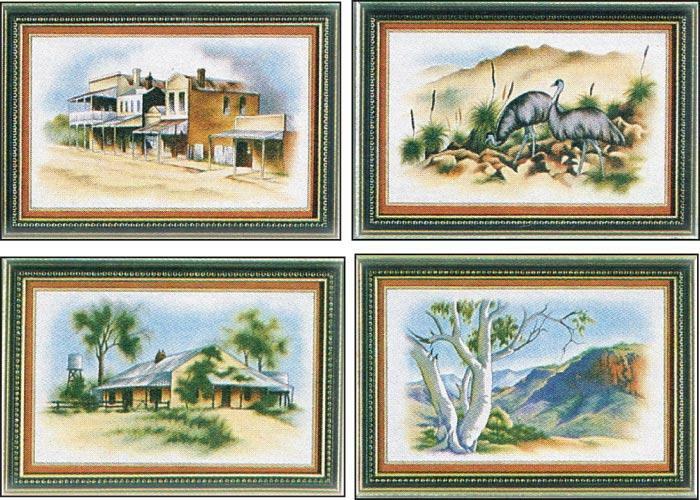 These images depict 4 Australian scenes. Pre-shaded on non-woven. Each picture measures 15 x 22cm. Requires colours: 1, 12, 14, 23, 43, 67, 75, 76, 77, 84, 85. Place a blotter sheet underneath the non-woven whilst painting.